Hi there folks! Jerm here to tell you about one of our many fine Tampa Bay dining gems here in Tampa Bay! If you hadn&apos;t had the chance to experience the cuisine at Council Oak Steaks & Seafood, then I suggest you put it on your list of things to do in Tampa Bay! 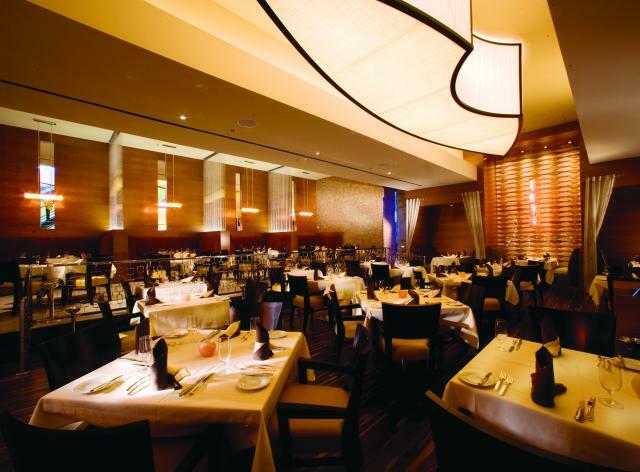 Council Oak is one of Tampa&apos;s top spots for prime steaks, fresh seafood and an award winning wine list served in a contemporary upscale atmosphere. If you are a steak lover like myself, then the 100% U.S.D.A. prime cuts will make your mouth water? What makes them so mouth watering you ask? How about 21 to 28 day dry-aged, cuts right in their very own on-site butcher shop! If you are in the mood for seafood, indulge yourself in any one of the fresh fish, line-caught right here in Florida. Word on the street is that the Alaskan King Crab legs are right from the Bering Sea, and if its lobster your in the mood form the custom saltwater tanks keep the live Maine lobsters fresh. It doesn&apos;t get any fresh than that folks! Feel free to complement your meal with a visit to the Council Oak Lounge and listen to live entertainment nightly, try out the Lounge menu and the amazing specialty drink list or a fine cigar, Sunday-Thursday. If I had to recommend something on the menu, I would definitely say start out with the Council Oak Bacon for an appetizer. As far as entrees go, you can take your pick here but the BBQ Spiced Beef Short Ribs with the Blue Cheese Grits are so good they make you want to slap someone! I would have attached a picture for you to see, but as you can imagine, I ate the food before anyone could take the camera out and snap a pic. For dessert, go with the White Chocolate Truffle Cheesecake, and you won&apos;t be disappointed. Now after a meal like that, if you are like me then you may need for someone to wheelbarrow you out to the car as you will be so full and happy you wont be able to walk! Be sure and check out the full menu here along with the delectable dessert menu for your own purposes though. I would advise you not to do this when your hungry though as it may make you want to drop everything and head over there right now! Now as you can imagine with a lineup of dining and entertainment like this, this place can get very busy, so I would definitely suggest making reservations in advance by calling (813) 627-7628 for reservations. That&apos;s all from me now folks, but be sure to stay tuned in for more updates on the Tampa Bay cuisine scene from jerm and the rest of the Tampa Bay team!